For those who watched the original Outer Limits on flickering black and white screens in the early 1960’s the experience is imprinted on a section of our brain labeled awe and terror. Baby-Boomers have deep and dark memories from The Outer Limits original airing or early re-runs. With tilted camera angles, nerve jarring close-ups and shadowy surreal sets; many episodes of Outer Limits already had the feel of half remembered nightmares. Mentioning of the series at a party will instantly produce a huddle of victims anxious to share their collective traumas. In excited whispers, they will piece together jig-saw puzzles of complete episodes. Contents of the collective closets of their childhood terrors. The Outer Limits was on past my bedtime. It was also went through parental review and judged too scary and weird for my young and impressionable psyche. But my much older, semi-beatnik, sister was a prime target audience and devoted fan. As a recognition of her special status and royal temperament, she had her own TV in her room. So it was, from across the hall, I heard rather than saw my first encounters with The Outer Limits episodes! Sleep was impossible after I heard the series opening ‘control voice’. Vast and incomprehensible powers had seized control of my sister’s television set. I sat frozen in the darkness imagining the slimy, alien invaders crawling out of the TV screen just across the hall. Hopelessly hypnotized I would get out of bed and traverse the vast dark distances to put my ear to my the door for a better listen. When you are seven years old, standing alone in a cold dark hallway, listening to the sound of monsters is about the scariest thing you can do. That is; unless your big sister catches you listening at her door to The Outer Limits. Then she makes you come in and watch the monsters with her! To multiply the experience, and contrary to the grave cautions of leading ophthalmologists, my sister watched TV in the dark! There we sat; huddled together watching, perched at the edge of her bed. Alone together in a world lit only by the flickering blue light of the terrors on the television screen. In retrospect maybe I was a pawn in a larger plot. Little brothers are a powerful deterrent. In the well-tested rules of horror and science fiction, no teenage girl was ever harmed by monsters or aliens while in the company of their impressionable seven year old brother. It is a sub-paragraph in the Creepy Creatures Union contract. 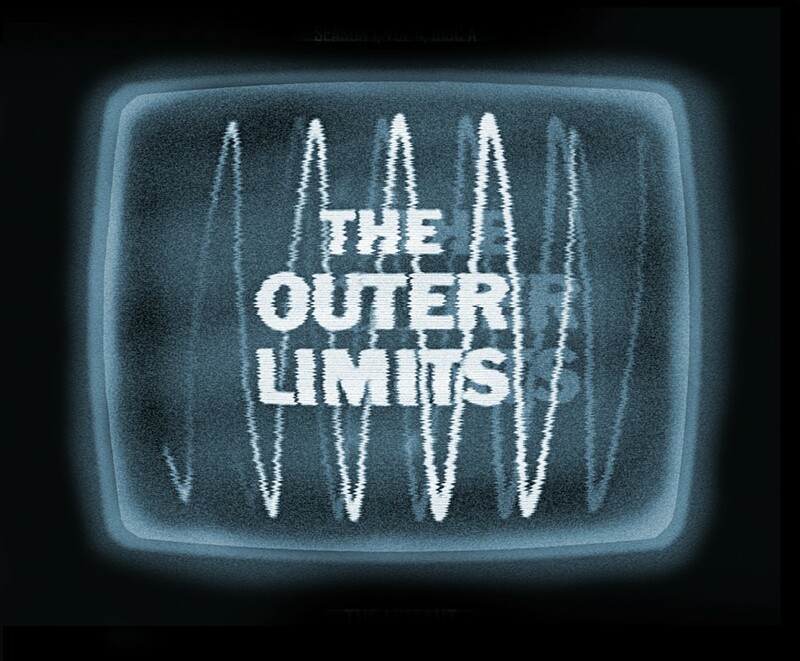 The Outer Limits ran for forty-nine, hour long, episodes on ABC television from 1963 to 1965. Created by Leslie Stevens and Joseph Stefano. The ‘control voice’ was done by Vic Perrin; who also did many of the voices on ‘Jonny Quest’.